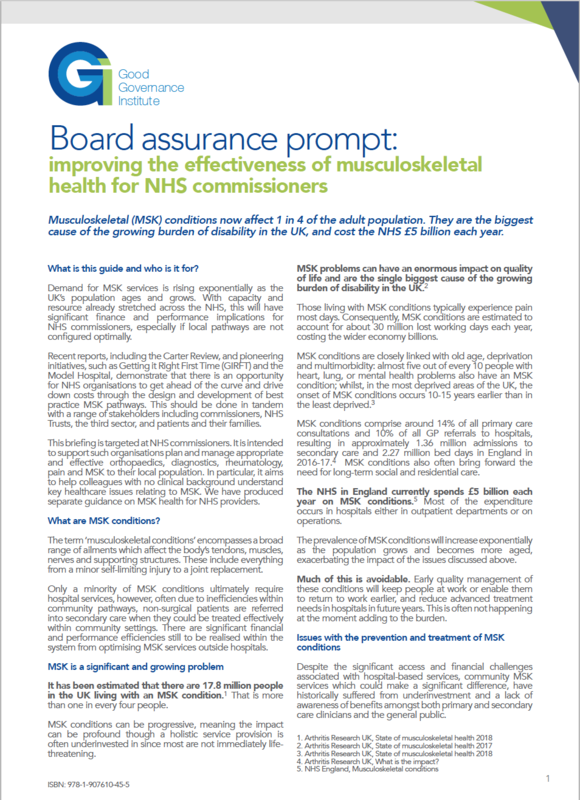 Demand for MSK services is rising exponentially as the UK’s population ages and grows. With capacity and resource already stretched across the NHS, this will have significant finance and performance implications for NHS commissioners, especially if local pathways are not configured optimally. 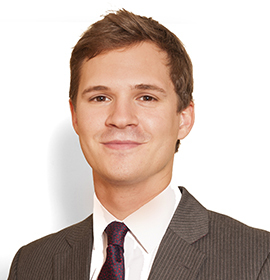 Recent reports, including the Carter Review, and pioneering initiatives, such as Getting it Right First Time (GIRFT) and the Model Hospital, demonstrate that there is an opportunity for NHS organisations to get ahead of the curve and drive down costs through the design and development of best practice MSK pathways. This should be done in tandem with a range of stakeholders including commissioners, NHS Trusts, the third sector, and patients and their families. This briefing is targeted at NHS commissioners. It is intended to support such organisations plan and manage appropriate and effective orthopaedics, diagnostics, rheumatology, pain and MSK to their local population. In particular, it aims to help colleagues with no clinical background understand key healthcare issues relating to MSK. 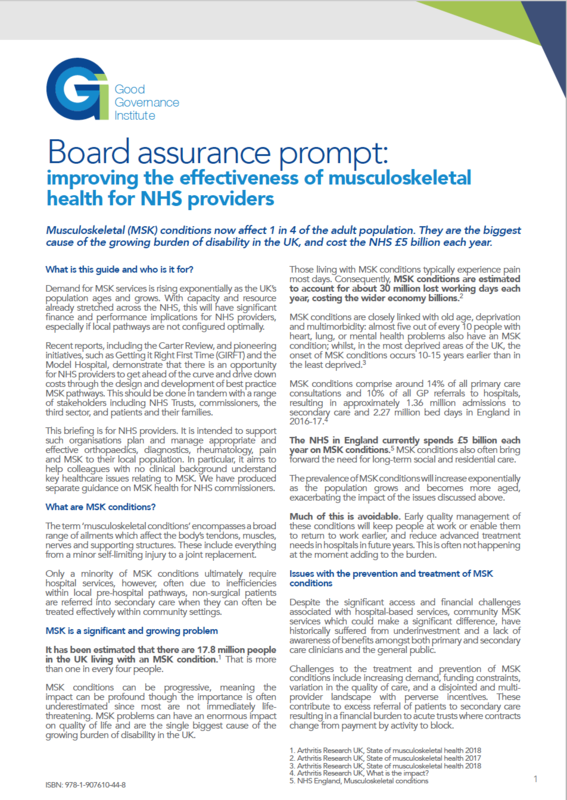 We have produced separate guidance on MSK health for NHS providers.